Because there are so many wonderful places to see in the world, it is rather rare for Carol or me to return to a place we’ve been before, no matter how much we enjoyed it. Why, then, am I returning to Cuba only nine months after having been there? Three reasons, really. First is that Carol was not with me last April and May. I really missed having her there and wished that she had been able to see what I had. When another opportunity arose, I was primed to take it. Second, Cuba is a wonderful destination. It is close, it is easy to get to, in the same time zone and exotic. And because it is close and easy to get to, one can travel there and not devote an enormous amount of time to the trip. This is a very unusual combination, and makes it a terrific place to travel (or return) to. Though I would not have done another trip to Cuba this soon after my first, unless Carol was coming, I am very happy to be going back with her. Third, the focus of this trip is on art and music in Cuba. Since both of those areas are of great interest to Carol and me, this seemed like a particularly attractive trip. We had a delightful dinner with Patty and Jorge. Jorge in fact has a terrific Cuban art collection, which he was very happy to show us and talk about. I asked him what was going to occupy his time now that he was retired. He said that his principal project was to write a book on the Cuban artists who he had collected. He is very far along on the book and showed it to us on his iPad. It looks as if not only did Carol and I have a lovely evening, but we have made two new friends in Patty and Jorge, who we’ve invited to come to dinner at our condo when Carol returns to Longboat Key in March. Jodi and Jasper had been visiting me on Longboat Key, but left yesterday. Things sure do seem quiet when Jasper leaves. 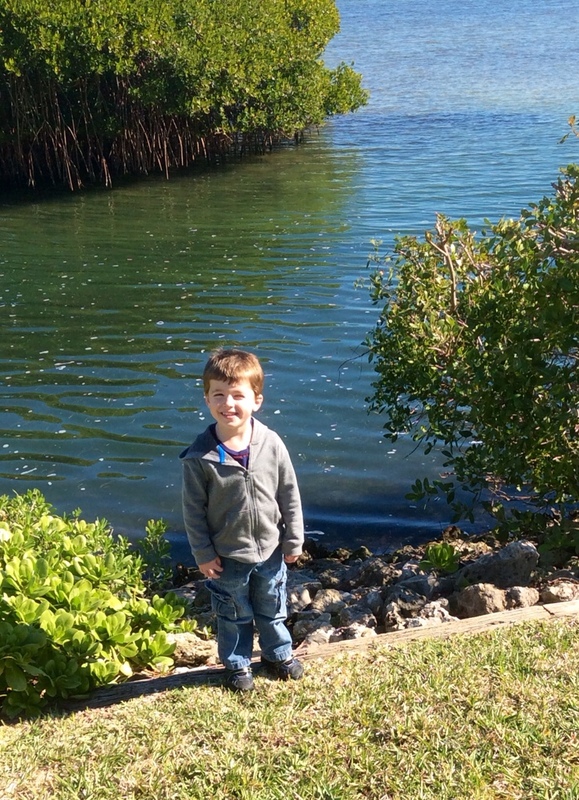 Under the guise of trying out my ability to attach photographs to the blog, here’s one of Jasper in Sarasota. Spent some time packing today, which has never been a big deal to me. You just throw some things (normally too many things) into a suitcase and zip it up. Also spent a bit of time re-reading my blog from last April/May’s Cuba trip, which brought back everything vividly for me, and increased my anticipation for this venture. I’m sure there will be a few repeats from the last trip, but I don’t really mind that. Often when you see something more than once, you come away with a deeper, different or richer appreciation the second time. I’ll be interested to see whether Havana feels any different to me the second time around. Unlike on my earlier trip, we will only be in Havana, and not in Trinidad, as well. I think the greater focus has both advantages and disadvantages. We’ll see how it plays out. Tomorrow the trip begins. Well, sort of. We meet our group in Miami. P.S. The photo of Jasper in that lush setting is great. And I do love that little guy!